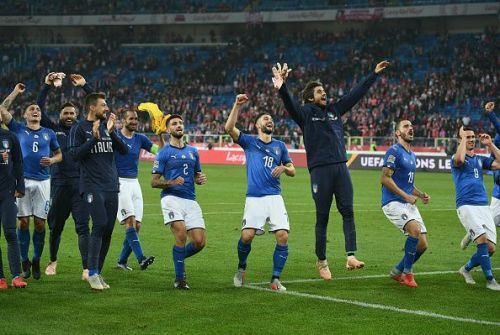 Poland welcomed Italy to the Silesian Stadium for a UEFA Nations League clash, with the loser of the tie set to face relegation from their league. It was the visiting team who prevailed, courtesy of a stoppage-time winner from left-back Cristiano Biraghi. The Fiorentina man was at the back post for a corner and pounced on a loose ball to break Polish hearts. Both the sides had chances to win the game, and Italy had the bulk of the lot. It looked as though the game was heading towards a stalemate before Biraghi popped up with the late goal. Itlay dominated possession, and Poland had to remain content with the odd counter-attack. Roberto Mancini's men deservedly won the game, albeit with a late and dramatic winner. Here are the major talking points from the game. Roberto Mancini deployed an attacking trident of Lorenzo Insigne, Federico Chiesa and Federico Bernardeschi. The Italy coach opted for a similar attack against Ukraine as well, even though he has a potent striker in the form of Ciro Immobile on the bench. All three forwards who started are talented, but none of them is an orthodox striker. They created a healthy amount of chances, and all three attackers were guilty of missing a couple. Bernardeschi, in particular, had some glorious chances to score, and he wasted them. Insigne also had a great chance in the first half and he could only hit the woodwork. The link-up play between the trio was very good, but the final finish was found wanting. 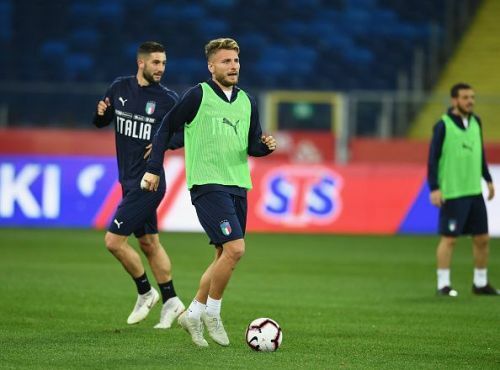 Patrick Cutrone, Andrea Bellotti, and Mario Balotelli were not in the squad for various reasons, and arguably they could have helped the Azzurri.